From the Royal Navy to working for Sonardyne International as a technical trainer, Tom Rooney tells us what it takes to make it after graduation. I was both a mature student and serving as a Naval Officer when I started the course at Plymouth University. I was working on the training staff at HMS Raleigh, the Royal Navy’s new entry training school, and, soon after graduation, I moved back into my core specialism of engineering, working in Devonport Dockyard managing the repair and maintenance of the navy’s flagship (at the time) HMS Bulwark. In 2013 I decided to seek opportunities elsewhere and left the Royal Navy in 2014. 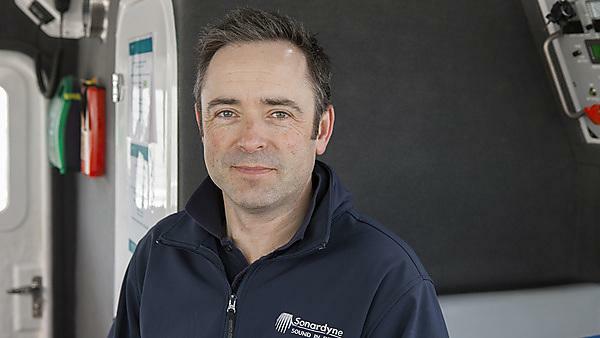 The qualification I obtained from Plymouth University, combined with my teaching and training experience and my engineering background, helped me to secure an offer from Sonardyne as a technical trainer in Plymouth. Greatly. After twenty five years in the Royal Navy, and only two years after graduation, I left the military to pursue a new career. I now work in the world of hydrographic survey and off-shore technology, areas in which I had little exposure in my previous career. I have learned a great deal and I’m enjoying the new challenges and opportunities. Making the decision to leave a secure job in the Royal Navy was a huge leap and during the twelve month notice period there were some anxious moments; but in the end I received numerous job offers and I am delighted to be working with Sonardyne. I’ve had many exciting moments in my career and I loved being in the Royal Navy. The most fun job I had was training new recruits in HMS Raleigh. The atmosphere of optimism and enthusiasm was addictive; the days were long and tiring but the energy around the place keeps you going. Highlights during this time was re-writing, planning, and delivering the key Dartmoor training exercise using the knowledge and principles covered in the Plymouth University Cert Education course, and also managing to engage with RNAS Yeovilton to provide a helicopter for one of the final exercises to transport the recruits between two points of activity. The recruits loved it and I will never forget the looks of disbelief that the aircraft was really for them. Now I have left the Royal Navy and started a new career I am relishing the exciting opportunities it offers. I am working with some amazing technology, delivering and developing training courses, which I love, and I still get to travel occasionally to some interesting places. Nothing. There are always some decisions that I could have made differently with hindsight, but I have no regrets as my career has led me to where I am now and I am looking forward to seeing what the future brings. If you want to join the military then I would advise you to get fit and learn how to live without being tied to your mobile phone or Facebook… oh, and maybe think twice before you have that extreme piercing or facial tattoo. If you’re going into the offshore industry then get networking and accept any opportunity to experience what is currently a difficult line of work to access – you never know when the most unlikely prospect will present itself to you. If you’re going into teaching then learn your craft and spend the rest of your career honing it: your development really starts after you have graduated. Generally, though, you can’t go wrong if you are enthusiastic, work hard, and get along with people. Studying at Plymouth made me a better trainer, taught me a great deal about myself, and improved my work by allowing me to access a much deeper understanding of adult learning and the principles of teaching. I regularly review the study material from my course to inform and develop the training courses I now deliver at Sonardyne. It was an intensive course; we went into the Rolle Building from Friday afternoon to Sunday afternoon for several weekends to cover the lecture modules, and then it was self-study, written assignments, working evidence diary, and on-job assessments by mentor and/or tutors. We had some laughs when we all got together, but the best moment was when our tutor assessed a newly designed lesson for the recruits and gave me glowing feedback: no improvements necessary. It was my final assessed lesson and showed the improvement I had made. For more information about our range of courses within the Plymouth Institute of Education, please visit the school page.